For the past several months, I have been hard at work to create something very important, something pretty big, I think. It will be one of those “firsts” in accomplishing something one could only dream of, as an artist. For that project, I have created three drawings & paintings. Well, one drawing, two paintings, to be exact. The drawing is, as one can see, a logo of a somewhat torn Teddy and toy blocks. The next image is of a digital painting I did in Photoshop. 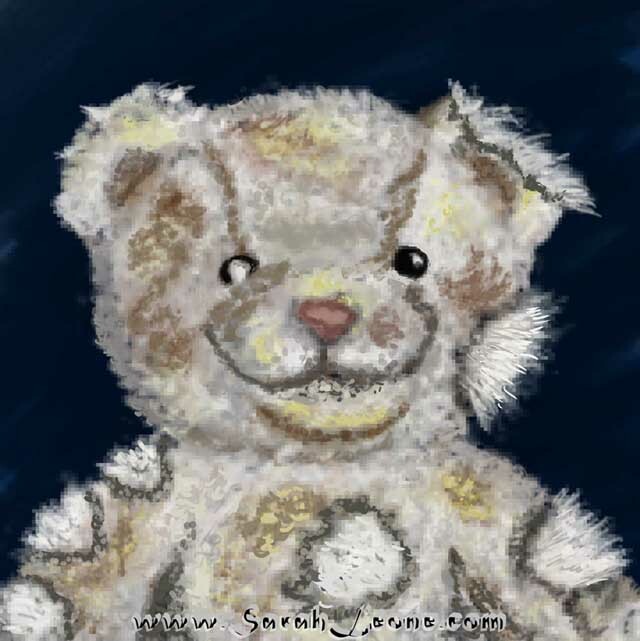 This is a bit out of the box of what I normally tend to do so I personally find this portrait of the teddy bear eerily cute and disturbing. And for good reasons, aside from the appearance. Also, I will have some other news to share with you. But I will save that for next time. I hope you enjoy these pictures and have had a great summer!